Image retrieved from upload.wikimedia.org on April 1st, 2014. The reemergence of actual psychedelic plants in Western culture began in the middle of the nineteenth century, with the first detailed ethnographic and travellers' accounts of New World psychedelic plants. The Ecuadorian geographer Manuel Villavicencio tried the Amazonian hallucinogenic brew ayahuasca in 1858, and the British Botanist Richard Spruce conducted a study of ayahuasca around the same time, though his results were not published until the 1870s in a journal, and in book form not until the turn of the century. It is very clear that mere knowledge of the existence of a substance, even personal knowledge of its effects, is no guarantee that attention will be paid to it. Only when a culture finds a way of using the substance do the “discovery” and dissemination of information about the substance actually occur. Peyote use came to the attention of North American and European scientists as a result of its adoption by North American native groups in the middle of the nineteenth century—during the period of the greatest persecution of native cultures, when the Kiowa and Comanche were driven into Mexico and (presumably) encountered indigenous Mexican tribes such as the Tarahumara and Huichol. The peyote religion and ritual sprang up along with movements such as the Ghost Dance, a late-nineteenth-century trans-tribal movement whose goal was to restore native life to its form before the European conquest, in the new reservations to which native tribes were confined. Although the peyote religion, whose existence was formalized as the native American Church in Oklahoma in 1918, lacked the messianic fervor of the Ghost Dance, its adherents stand at the origin of modern psychedelic culture, not as timeless primitives, but as the earliest peoples thrown, through the destruction of their culture, into the rootless, nomadic hyperspaces that open up in the midst of the shattered, yet overcontrolled, geography of the reservation. The first account of the effects of peyote ingestion was given in 1887 by John Briggs, a physician in Dallas, Texas. Little attention was paid, however, and thus the account in the British Medical Journal of 1896 by the American psychiatrist, physician, and historical romance writer S. Weir Mitchell is usually considered the first one. Mitchell was the first to describe many of the characteristic visual phenomena associated with peyote: heightened sensitivity to light and color, abstract visual pattern formation on closed eyelids. Mitchell's account was rapturous. 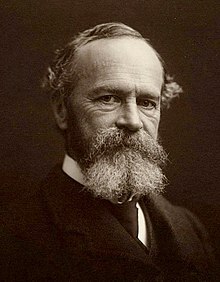 Mitchell gave some peyote to William James, whose enthusiasms for nitrous oxide has been discussed elsewhere in this book. James took a button and was violently sick for twenty-four hours (Louis Lewin had a similar reaction). He wrote back to Mitchell that he would “take the visions on trust.” Mitchell's account was also read by the British psychologist Havelock Ellis, who, in early 1897, obtained a supply of peyote from the firm of Potter & Clarke in London. Ellis wrote several articles describing his own experience; one appeared in a medical journal, but the better-known one, “A New Artificial Paradise,” was published in The Contemporary Review in 1898. In it he describes how on Good Friday in his rooms in the Temple in the center of London, he drank a decoction of three peyote buttons, and began to experience the characteristic visual imagery on his closed eyelids: “I would see thick glorious fields of jewels, solitary or clustered, sometimes brilliant and sparkling, sometimes with a dull rich glow. Then they would spring up into flower-like shapes beneath my gaze, and then seem to turn into gorgeous butterfly forms or endless folds of glistening, iridescent, fibrous wings of wonderful insects. Comparing his visions to the paintings of Monet, he summarized the experience as offering increased sensitivity to “the more delicate phenomena of light and shade and colour.” Mescal offered access to an “optical Fairyland.” Besides the obvious parallels to developments in contemporary painting (the interest in light of Impressionists, the heightened color sensitivity of the Fauves, the earliest rumblings of the move toward abstraction), the discoveries of Mitchell and Ellis represent one of the first explorations of visual abstraction in modern culture. Unlike Aldous Huxley, who was also interested in the visual meaning of the mescaline experience, Ellis did not stress the decorative aspects of this abstraction, but described them in more purely phenomenological terms. Future users of psychedelics, including Mazatec shaman woman Maria Sabina, were to make analogies between psychedelic visions and the movies or television, but the projecting screen of the eyelids is already there in Ellis' writing—only a few years after the first cinematic projections were made (one of Ellis' experimenters compares the experience to going to the theater in the afternoon, “in an artificial light of gas and lamps, the spectator of a fictitious world of action”).